North Carolina 2015 Map Act - Ward and Smith, P.A. A recent North Carolina Court of Appeals decision gives protection to all landowners subject to a North Carolina Department of Transportation Corridor Map. Through the power of eminent domain, the government may take private property for a public purpose. Federal, state, and local governments have the power of eminent domain, as do other entities such as certain utilities that have been granted such power by statute. Both the Fifth Amendment to the United States Constitution and the "Law of the Land" clause of the North Carolina Constitution prohibit government agencies from taking private property unless the taking is (1) for a public purpose, and (2) the government agency pays just compensation for the taking. The legal process a government agency pursues when taking private property is often called "condemnation." 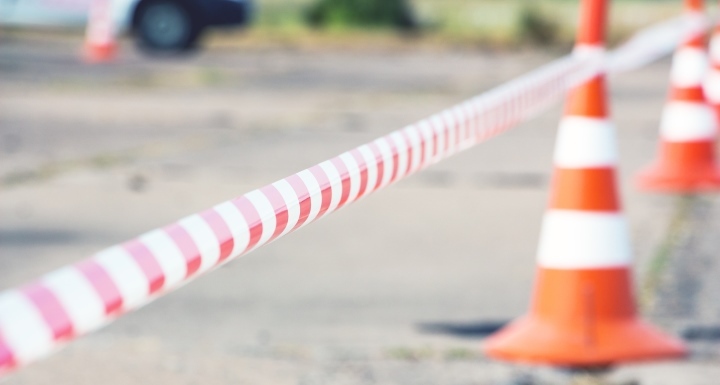 In North Carolina, condemnation proceedings typically involve rights-of-way for new roads, utility and drainage easements, and property being taken to construct government or other public facilities. When a government agency takes private property for public use without providing just compensation to the owner, the owner may file a lawsuit for "inverse condemnation" under North Carolina law, whereby the owner can demand that just compensation be paid. Disputes sometimes arise regarding whether actions taken by the government amount to an exercise of its eminent domain power, such that just compensation is due to the property owner. Many government actions that affect one's property rights, such as zoning, do not rise to the level of a government taking requiring payment of just compensation because the owner retains full, albeit regulated, use of the land. Over the past several years, the North Carolina "Map Act" has been at the center of such a dispute. The North Carolina Map Act ("Map Act") authorizes the North Carolina Department of Transportation ("NCDOT") to file official roadway maps listing and mapping properties that are in the path of a proposed roadway in order to create a "protected corridor" for the roadway. The Map Act prohibits property owners in the protected corridor from obtaining building permits or subdividing their property. If a property owner wants to try and develop affected property, the owner can submit to the agency that filed the corridor protection map an application for a building permit or subdivision or other development approval for property that is in the corridor and seek a variance from the restrictions of the Map Act. If that request is denied, the agency has three years in which to either start condemnation proceedings to acquire the property or consent to the owner's planned development. The Map Act provides no timeframe for the development restrictions on property within the corridor to expire absent affirmative acts by an owner (e.g., by incurring expense to apply for a building permit), nor does it mandate any timeframe for the NCDOT to act to condemn the property or remove the protected corridor. The Map Act does not require payment of compensation for the restrictions placed upon an owner's property. Consequently, the NCDOT has always refused to pay just compensation for the harms resulting from the restrictions owners have had to endure when their land is within a protected corridor. The purpose of the Map Act is to help the NCDOT control its future acquisition costs. If the NCDOT knows it is going to build a roadway through a particular area, it can file a corridor protection map and prohibit further development on the applicable property—development for which the NCDOT would later have to pay when calculating "just compensation." But the restrictions associated with a protected corridor can last years or even decades. All the while, property owners in the path of the corridor cannot develop or improve their land, and their property values suffer. Many property owners have argued that these corridor protection maps, and the related development restrictions, are an exercise of the NCDOT's eminent domain power entitling them to just compensation. The NCDOT has argued that these corridor protection maps are more like basic planning or zoning activities, and no compensation is owed. This February, the North Carolina Court of Appeals directly addressed this question in the case of Kirby v. North Carolina Department of Transportation—and the owners won. On February 17, 2015, the North Carolina Court of Appeals published its decision in Kirby. The Kirby case involved a proposed 30.4-mile proposed highway project called "the Northern Beltway Project" around Winston-Salem in Forsyth County. In 1997, and later in 2008, the NCDOT recorded corridor protection maps for the Northern Beltway Project. Despite having recorded the first corridor protection map in 1997, construction of the Northern Beltway Project still has not started. In a lengthy and scholarly decision, the Court of Appeals unanimously determined that when the NCDOT records a corridor protection map and invokes the Map Act's restrictions on property, the NCDOT has effectively taken property rights, thereby exercising the government's power of eminent domain. In essence, the Court turned the NCDOT's argument that the Map Act's purpose was to control its future acquisition costs against the agency's position. The Court concluded that because of the restrictions placed on affected property by the Map Act, which prevents any improvements or development within the protected corridor, the recording of the corridor protection map constitutes a taking of the private property rights of the owners. The owners therefore are entitled to just compensation. NCDOT has appealed the Kirby case to the North Carolina Supreme Court. It is not guaranteed, however, that the Supreme Court will review the case. Even if the Supreme Court decides to review it, the Court may not be inclined to overrule what appears to be a reasoned decision of three well-respected jurists based on settled principles of constitutional law. Kirby may prove to be a historic eminent domain decision. As the law now stands after the Kirby decision, any property owner within a protected corridor is entitled to just compensation for the effects of the Map Act's restrictions. Such protected corridors are on file all across North Carolina. As always, those affected by such a corridor protection map, or facing any other eminent domain issues, should consult an attorney who is experienced in the area of eminent domain or land condemnation law concerning their legal rights.